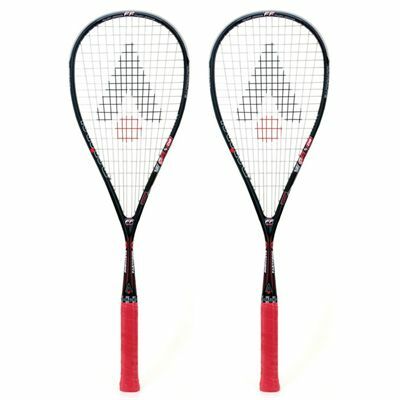 This is a squash racket double pack which contains two Karakal SN 90 FF, the world’s lightest squash racquet. 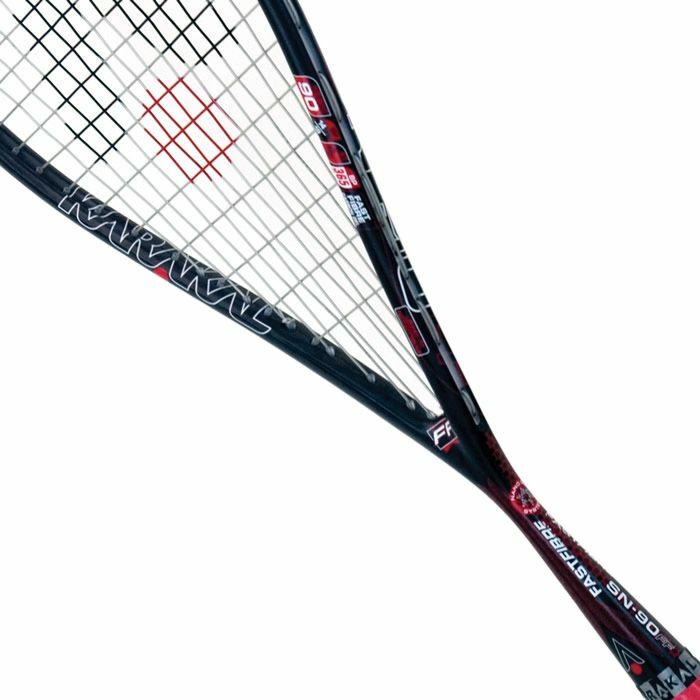 The frame weighs a mere 90g (3.1oz) which has a range of benefits including faster handling, easier manoeuvrability and quick head speeds so you can hit with more power every time. 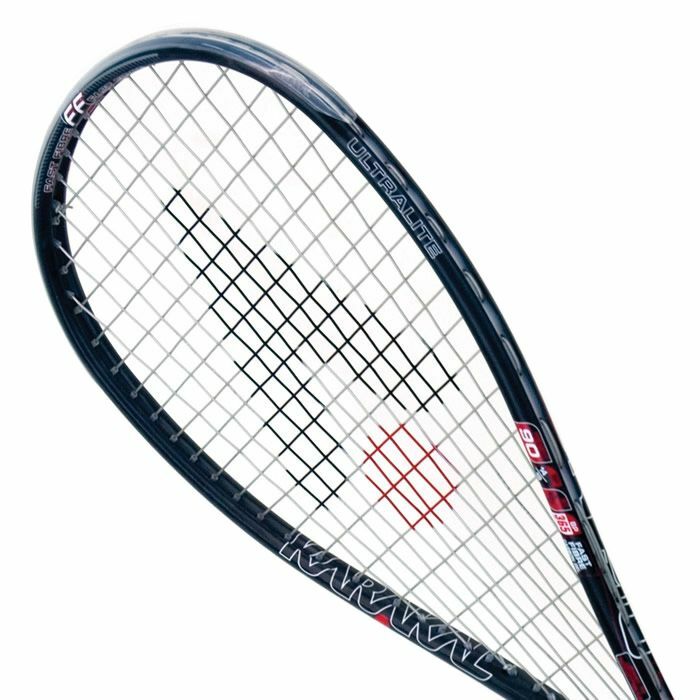 The racket uses fast fibre carbon gel to keep it light and does not have any paint or large decals on it which would add superfluous weight. The constant taper beam goes from 18mm to 16mm and means the frame flexes on ball contact so it stays on the strings longer and allows for better accuracy and placement. 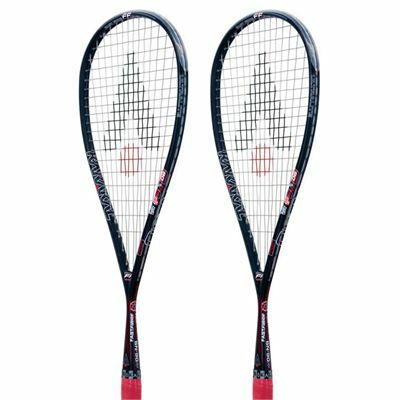 The two rackets feature a 70.5in2 (455cm2) head and a 14x19 fan string pattern strung with a Karakal evolution 115 string, and two protective full covers are included. 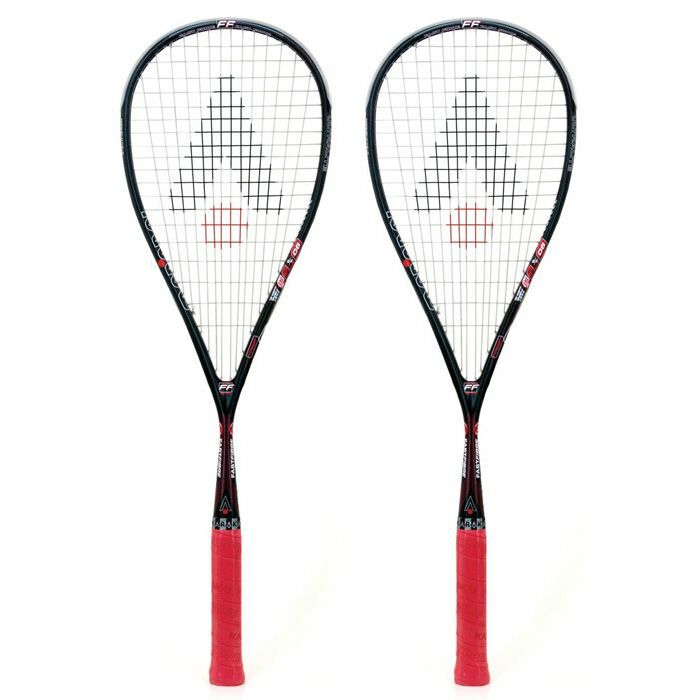 for submitting product review about Karakal SN 90 FF Squash Racket Double Pack AW15.